Renaiszance (www.renaiszance.com) is the brainchild of siblings Ravé and Radha Mehta. The duo’s debut EDM Pop album RISE just hit stores and The Good Men Project talked to producer Ravé about the origins of their unique sound. How did Renaiszance come about? 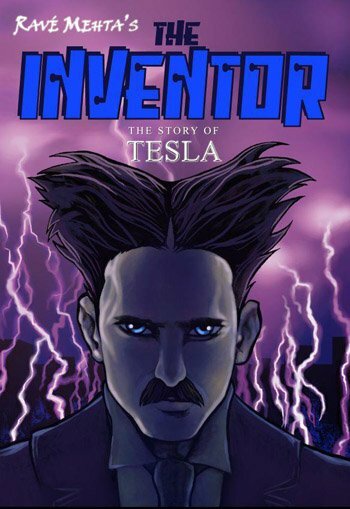 After they published my graphic novel The Inventor: The Story of Tesla, I thought the next and natural step in moving this towards a proper transmedia multi-platform property was to develop an edgy concept album around Tesla’s story — one that’s relevant to today’s music scene. So of course it would have to be electronic dance infused pop. To give it an edge I threw in some sick Tesla coil dubstep sounds to tie it all together. Since I’ve been producing music for over 10 years, I thought who better to work on this with than my sister Radha Mehta who’s also an amazing vocalist, songwriter and my all around music partner. So this time around, we decided to call ourselves RENAISZANCE to reflect our backgrounds as both engineers as well as musicians but with an electronic edge. How long have you been introduced in EDM? This is my first full length EDM production but I’ve been a fan of EDM for decades. I’ve watched it morph and evolve over the years starting way back with New Order, Information Society, and Massive Attack in the 80’s all the way to Swedish House Mafia, Skrillex, Avicii and others today. We started this project with the idea of blending our classical piano melodies and soulful lyrics with dance rhythms and electronic textures into something that’s well balanced and timeless yet progressive and edgy. I also varied the electronic style across the album ranging from the harder electronic textured and dubstep tracks like in “I Will Rise” and “My Way” to softer electronic melodies in “I Will Always Love You” and “They Can’t Stop Me”. Then we threw in some upbeat dance tracks such as “Touch the Sky” and “Can’t Let Go” and sprinkled in a few fist pumping anthems like “Follow Your Heart” and “Grace & Glory”. What’s the correlation between your interest in this music and science? With my training in engineering and technology and my background in visual arts, music and writing, I’m always striving to create intelligent art. I’ve been studying and researching the science of sound and harmonics and its healing impact on the mind, body and environment for over 10 years. Nikola Tesla, who I consider one of the most prolific scientist and inventors of our time, did the same over 100 years ago and essentially created the foundation for all electronic music today through his inventions like the radio and the oscillator through which he manipulated various wave forms. So this was the perfect project to bridge my background in science with my passion for creating music!